I finished this game yesterday, described as a 'walking simulator'. There are no people (in a physical form) or animals to interact with, just the landscape and houses of the villages. It also had an wonderful soundtrack which I felt was very important due to the amount of time you spend just 'walking around'. If you are at all into 'indie' games and have a ps4 I highly recommend it, you will be blown away. When you do get into a building, however, you’re rewarded with a detailed environment to explore. Houses are gratifyingly individual, with hints of the personalities of their departed owners. Pubs feel familiar despite the prices on the chalkboards – £2 for curry and a pint, 50p for an ale – which perhaps reflect the time period more than the cars and phones and Rubik’s Cubes. 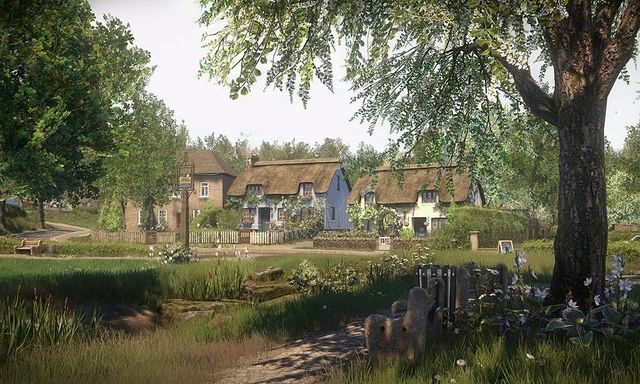 Everybody's Gone to the Rapture is coming out on PC, yay. Get in my trolley. An indie title - Everybody's Gone to the Rapture - won three times at the Bafta video games awards, but missed out on the top prize.